Throughout history, rings have been used for many different purposes. The symbol of the ring has been used to: affirm authority; unite people; seal pacts; as good luck charms, and much more besides. It is thought that the shape of rings was highly significant due to it being the same shape as the sun, full moon and stone circles. Rings also suggest the idea of eternity because they have no beginning or end. 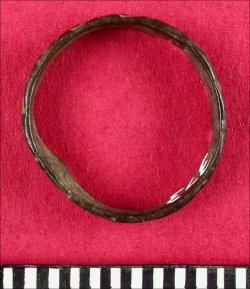 Post-Medieval copper alloy finger ring.